One warm, sunny Saturday in the fall of 2013, I was cozied up on the couch doing what had become my usual weekend activity: scrolling through social media. As I browsed through Facebook, I came across a photo of Jen Sinkler, who is a friend, colleague, and someone I deeply admire and look up to. She and Dave had just gotten married, and someone had given them an aerial airplane session as a wedding gift. 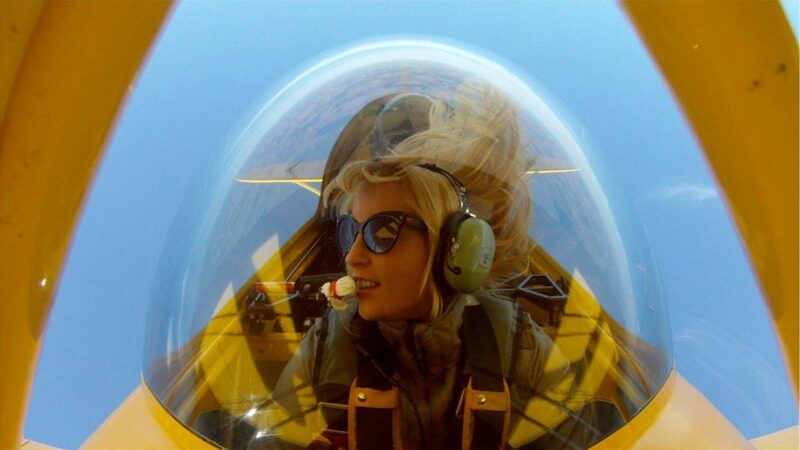 The picture that Jen posted was one of herself upside-down in the airplane, hair flying, and smiling. You see, I had spent the past several years consumed with diet and exercise. The gym was my only hobby, and when I wasn’t working out, I was either prepping food or worrying about food. I was so concerned about the way my body looked that it had negatively affected my social life. I would consistently turn down invitations to go out, either because of my training sessions that I absolutely refused to skip (LOL), or because not knowing which foods would be offered was enough to make me panicky. Friends eventually stopped extending invitations, and understandably so. That Saturday afternoon, I sat there staring at the picture of Jen in that plane. She was doing something new, exciting, and courageous, and I couldn’t even handle going to dinner with good friends because I didn’t have a way to know for certain that the vegetables didn’t have oil on them. The ridiculousness of it all suddenly hit me: my entire existence consisted of diet, exercise, obsessing over my body, and hiding on the couch, none of which was making me happy. Every day was more of the same, like I was starring in my own bizarre rendition of the movie Groundhog Day. As that day wore on, I looked at Jen’s picture several more times, and became hyper-aware of some very important elements that were missing from my life – things like joy, spontaneity, and adventure. That night, I barely slept as I thought about all of the things that I had dreamed of doing, but never tried due to fear or self-defeating talk. I had been holding myself back, confining my life experience to the small, suffocating box of diet and exercise. A few days later, even though I had never thrown my leg over a bike, much less learned to ride one, my bro and I went together to buy my first motorbike. Over the course of the next week, James took me down to an empty parking lot and patiently taught me how to ride. He watched for hours as I carefully weaved around the little cones he set up for me while he and my dad cheered me on. It was one of the most memorable weeks of my entire life. That was the week that I made the decision in my life to pivot. Learning to ride my new motorcycle was all the proof I needed that living small wasn’t for me. Trying something different and conquering a fear made me feel more alive than I had in years, and I couldn’t wait to find out what would be next. I vowed to live a more courageous life from that point on, and it’s exactly what I’ve done. But at first, it was really difficult. I had been doing the same things for so long that it was challenging to climb out of my nicely grooved rut. Ruts are comfy-cozy, and it takes intention and a fair amount of effort to blaze a new path, and I mean this quite literally. For example, when you go hiking do you take the hiking trail or do you bush-whack your way through the field to get to your destination? Like the majority of people, you probably take the trail. Why? Because it’s been tracked on over and over again, making it the path of least resistance. Our brains love the path of least resistance, and will always opt for those, even if there could be a better, more fun, or more exciting way to do things. The more you take the hiking trail, the more familiar and easy it becomes, therefore making it all the more tempting to continue to participate in that behavior. Same thing happens inside of our brains. 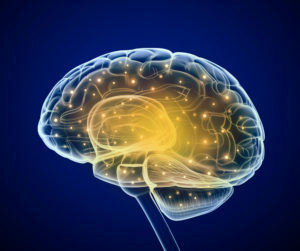 Anytime you have a new experience or think a new thought, your brain creates a new neural connection. For me, I was sitting on the couch and living vicariously through social media every weekend because I, like most adults, had become I was stuck in a rut. It was comfortable, familiar, and safe. we do or think is new to us – colors, sounds, toys, etc. As we get older, routine sets in, and many people end up seeing and doing the same things, firing the same path of neurons over and over again. This is why it can feel so incredibly uncomfortable to try something new, and why most people end up throwing in the towel. “Oh, I can’t do that. You can’t teach an old dog new tricks.” That’s not true. You are absolutely capable of learning and doing new things; you’re brain has just gotten out of shape when it comes to building new neural connections. Now for the exciting news: by exposing yourself to new things, your brain physically builds new structures, which sparks new thoughts, and leads to more new experiences. Courage is something that can be cultivated. When you choose to break out of your rut and say yes to new experiences, the easier it becomes to do so. Over the last few years, I have left dieting in the dust as I’ve enthusiastically thrown myself into my newfound ability to #embraceYES. I’ve learned to place relationships, experiences, and what my body is capable of doing and learning above the body obsession that held me captive for far too many years. Let me be clear: this has nothing to do with fear. I’m scared shitless all of the time. It’s all about perspective, and instead of thinking of something as scary, we can choose to think of it is thrilling. Embracing yes has brought amazing things into my life. Dirt bikes, mountain bikes, yoga workshops, aerial sports, snowshoeing, and all sorts of other things. It’s also brought plenty of uncomfortable situations, and some things that have been downright scary, but I’ve emerged from every experience holding my head a little higher because I went for it and gave it my best effort, which has never failed to bring massive growth, and give me a boost of courage. Remember, the status quo is easy. Your brain will always seek the path of least resistance, and that first step outside of your comfort zone is scary AF. 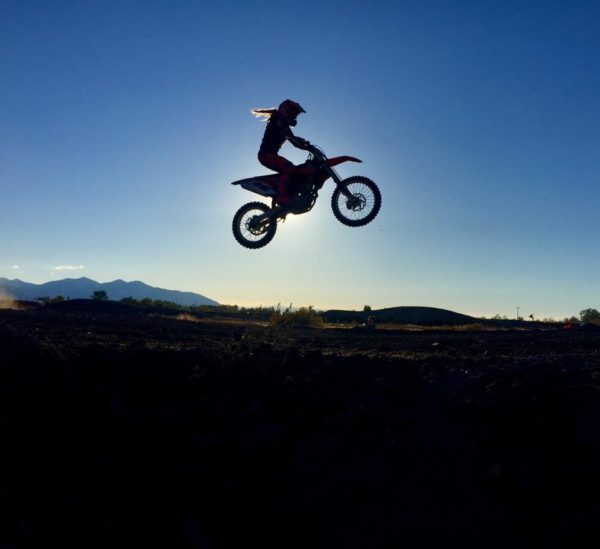 Even if you aren’t into riding motorbikes, or swinging around on poles, you can still embrace yes in other ways to create new, juicy neural pathways and have some new experiences. How can you #CultivateCourage in your own life? Dress up just for the hell of it, wear a bright lipstick that you’ve never tried, go to a new fitness class just because it seems fun, test out a new recipe, or simply take a new route home after work. The little things lead to bigger things, and like anything else, it takes practice. Even the worst day I’ve ever had trying something new has been better than the best day I ever had sitting in complacency. Let me know what you’re doing to #CultivateCourage and #embraceYES by tagging me in your adventures on social media!